Home » » Little Boy Seen Staring At The Photo Of His Dad Killed During The Shiite/Police Clash In Abuja. 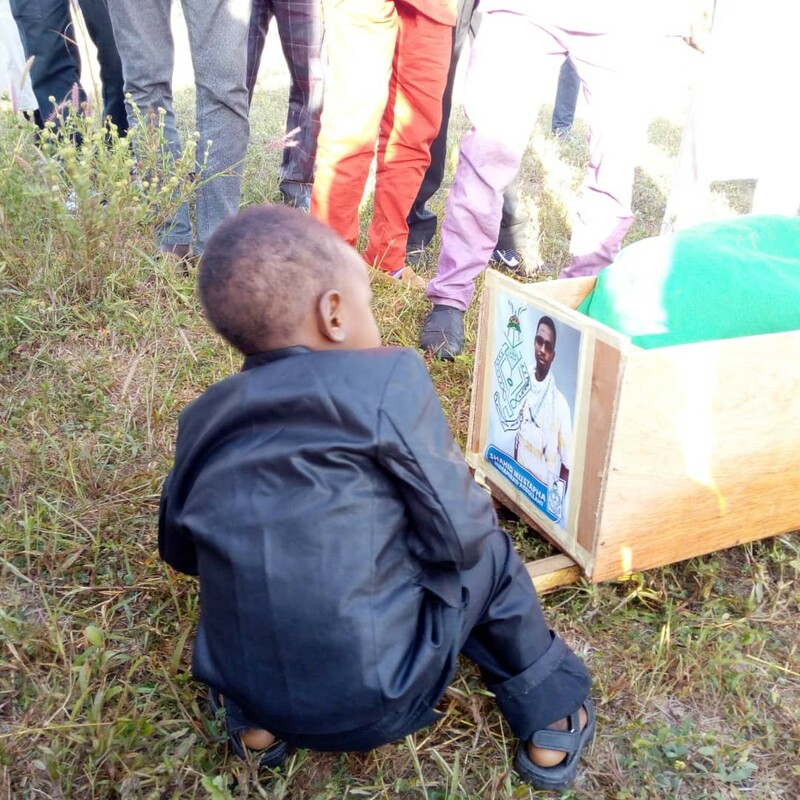 Little Boy Seen Staring At The Photo Of His Dad Killed During The Shiite/Police Clash In Abuja. 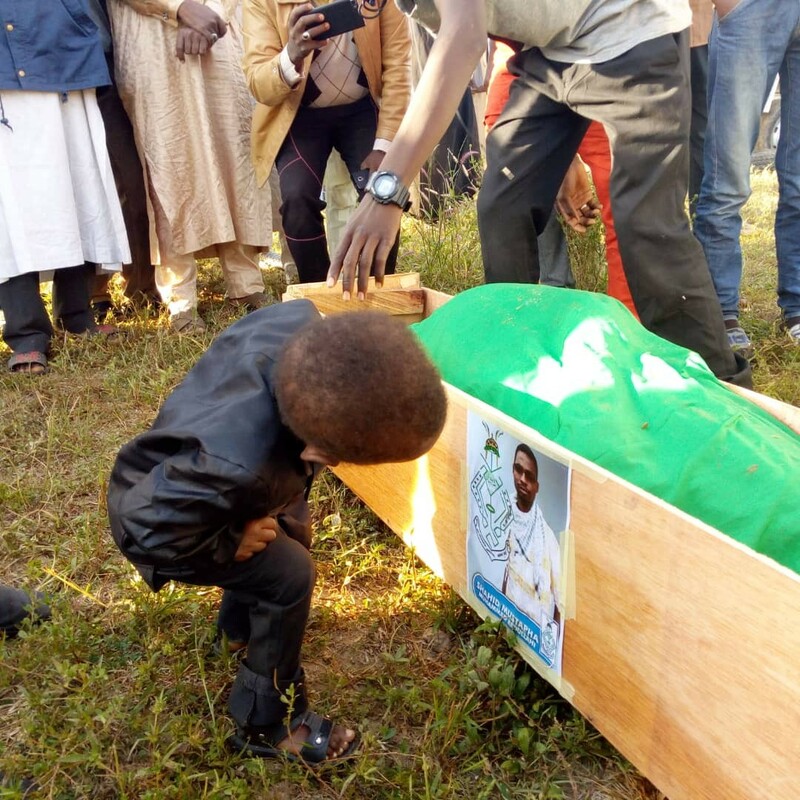 Photos have shown the really heartbreaking moment a young boy was spotted staring at the photo of his father who was recently killed during a fallout between security operatives and the Shi'ites members. It will be recalled that two weeks ago, the city of Abuja recorded a number of clashes between members of the Islamic Movement of Nigeria aka Shi'ites and security agents. Many Shi'ite members were reportedly killed during the clash while the sect members in turn burnt a vehicle belonging to the FCT police command and also inflicted varying degrees of injury on some soldiers. During Mustafa's burial, his little son was spotted staring at the dead man's photos which were pasted on the coffin. The photo have left many people heartbroken on social media.